Every place or region has its own distinctive character or something unique that sets it apart and makes it special. Some of these things are easily seen or found while others go unnoticed or are hidden and protected. Sometimes it’s only a part of something greater, but without which the sum would not be as great. As travelers we are drawn to the places where we will see or experience those things that are rare and intriguing. We look for the obvious and search for the secret, but often we go because we may never have the chance to see it again. Our world is constantly in flux. We create and destroy and attempt to save that which we have threatened. Our influence on the natural world has been significant and yet some things endure in the face of change and others require intervention. The Owens Valley is prime example of a place where time appears to have stood still and yet the consequences of human activity have had far reaching effects. It can be described roughly as being 100 miles long by 6 – 20 miles wide. 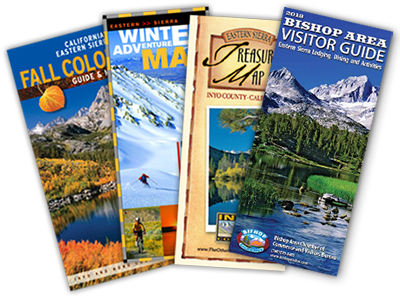 At about 4,000 feet above sea level (ASL) and flanked by the Sierra Nevada to the west and the White and Inyo Mountains to the east, with peaks on both sides rising above 14,000 feet ASL, it is one of the deepest valleys in the United States. This high desert valley is located in Inyo County, the second largest county in California. Inyo County has a total land area of about 10,200 square miles and a population of just over 18,500 persons (according to Census 2010). Its population density is statistically calculated to be 1.8 persons per square mile. However all but about 1,000 live in the Owens Valley, which has a land area of about 3,330 sq miles, making the population density of this valley about 5.25 persons per square mile. Which, if considered in the rankings of population density of US states, the Owens Valley would be the second least populated area between lowest ranked density state Alaska with 1.3 and Wyoming with 6 persons per square miles. All this might indicate that the Owens Valley is in an excellent position to maintain the equilibrium of its natural environment. Unfortunately this is not the case. Early settlers to the Valley came in search of wealth from a boom in mining and of fertile lands for homesteads. They brought with them non-native plants and animals and these invaders had direct and indirect impacts on the sustainability of native species. The greatest impact, however, has been the export of water from the valley by the city of Los Angeles. The loss of water and recession of the vast underground aquifer below this region (which is a story for another time) created serious consequences for the native plants and animals of the Owens Valley. Thanks though to the timely intervention and ongoing work by numerous folks over many decades we can still find and marvel at the fauna and flora, large and small – well known and little known, that play their part in making this valley unique. Threatened: Is likely to become endangered within the foreseeable future. Endangered: In danger of extinction throughout all or a significant portion of its range. High above Bishop in the White Mountains are the world’s oldest living non-clonal organisms, the Great Basin Bristlecone Pine (Pinus longaeva). Growing between 9,800 and 11,000 feet ASL in an all but inhospitable climate these trees live for thousands of years. It is likely that these trees will continue to live their Spartan existence for eons to come and are considered neither threatened nor endangered. Notwithstanding that fact the species is on the International Union for Conservation of Nature and Natural Resources (IUCN) red list, as yet labeled ‘Least Concern’. Edmund Schulman, a researcher in the field of dendrochronology (the science of tree ring dating) discovered these ancient life forms in 1953 and focused his studies on the trees that were 3,000 to 4,000 years old! After four years of extensive research his findings were reported in National Geographic and worldwide attention was brought to the White Mountains. Sadly Schulman died of a heart attack in 1958 shortly before his article was published and just prior to the establishment of the Ancient Bristlecone Pine Forest by the US Forest Service protecting the species for generations to come. His findings and research greatly influenced the study of dendrochronology, which continues to advance today through the protection and study of these trees. The bristlecone chronologies raised questions relating to the widely respected field of radiocarbon dating methods and have subsequently been used to recalibrate the C-14 process. Named in his honor, The Schulman Grove and Schulman Grove Visitor Center is open annually from mid-May through November, weather permitting, and this is where you can see these ancient trees. From the visitor center at 9,846 feet ASL the Methuselah grove trail makes a 4.5-mile loop. Here in the Methuselah Grove, unmarked to protect its identity, lives Methuselah, which is 4,847 years old. 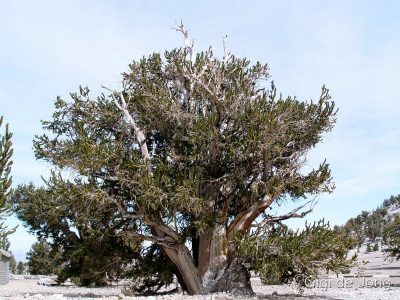 Just two years ago an older tree, unnamed and also unmarked, was determined to be 5,065 years old. It sprang to life in the year 3051BC and for over 5,000 years it has lived on this cold, rocky mountaintop that has remained largely unchanged. There are spectacular vistas looking out eastward over Nevada’s basin-and-range region and side trails connect to interesting, old mining sites. Visit the world’s oldest living things, the trees that have seen the greatest passage of time on earth. 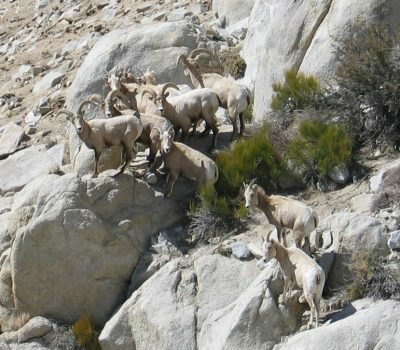 In 1995 the population of the Sierra Nevada Bighorn Sheep hit an all time low of 100 individuals despite efforts by the California Department of Fish and Wildlife (CDFW) to reestablish bighorn herds in historic habitat. The decline of this naturally gregarious animal was due to centuries of unregulated hunting and disease outbreak brought about by transmission of virulent disease carried by domestic sheep. The worst of which was pneumonia from the bacteria Pasteurella in 1870. In 1999 the CDFW implemented a program for the recovery of this threatened subspecies and in 2000 the Sierra Nevada Bighorn Sheep was listed as a federally endangered subspecies. Today about 500 animals remain in the wild and efforts continue to protect and grow populations with the goal of having the species downgraded to the status of threatened. Mountain lions are a natural predator and the sheep rely on eyesight and their ability to reach high rocky perches quickly to escape predation. Most live at 10,000’ – 14,000’ during summer in the alpine and subalpine terrain. Some will remain at these altitudes during winter, but most will migrate to lower elevations to avoid deep snow and find forage. Lambing occurs in spring on safe, but precipitous, rocky slopes and ewes will usually remain with the herd into which they were born. Males, 2 years and older, will live apart from females and younger males for most of the year, but will come together during late fall and winter when males will compete for dominance. 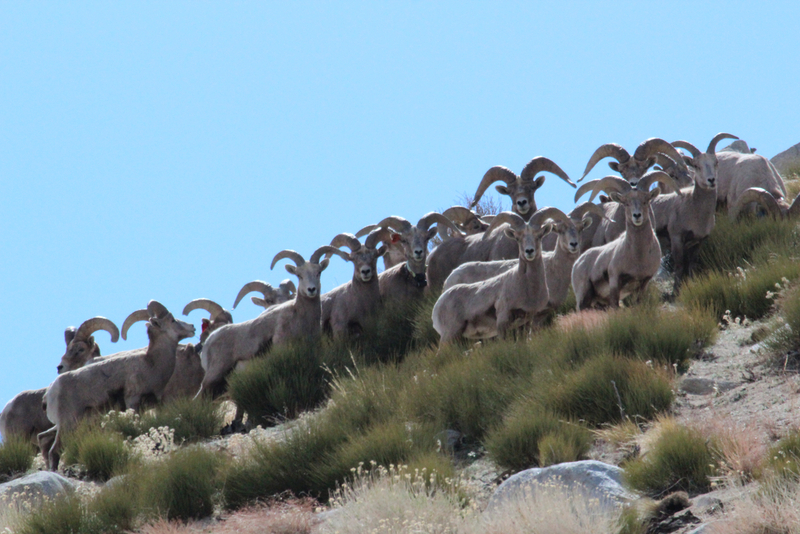 In 2016 a genetics study “confirmed significant divergence between the three subspecies of North America’s bighorn sheep” – the desert bighorn, the Rocky Mountain bighorn and the Sierra Nevada bighorn – classifying each as distinct subspecies. The bighorn sheep that are often encountered in the White Mountains are of the desert bighorn subspecies. Aside from the obvious difference in range location one clear visual difference between the two is the shape of the horn. The horn of the Sierra Nevada bighorn differs from the classic rounded shape of the desert bighorn by being significantly wider. The horn has a less pronounced curl and flares outward at the ends. Now is the time where these sure-footed creatures may be seen in and around the lower regions of the cliffs of Wheeler Ridge. Very near Bishop, just north of Rovana and west along Pine Creek rd is where the sheep can be spotted. They blend exceptionally well with their surroundings and spotting them will require a good pair of binoculars or, better still, a good spotting scope. A small fish began life in the Owens River valley more than 2.5 million years ago. Until a little more than 100 years ago the Owens Pupfish was abundant throughout the valley. Early occupants and visitors to the Owens Valley introduced non-native aquatic species for bait, sport fishing and mosquito control, like largemouth bass and bullfrogs. The pupfish were an easy source of food for these voracious eaters. Then during the early 1900s when the water from the Owens River and its tributaries were diverted to supply the growing demand for fresh water in Los Angeles, the habitat of this energetic little fish was seriously threatened. Further groundwater pumping and drying up of springs and seeps resulted in an almost complete loss of habitat and the species came close to extinction several times in the last century. In 1967 the Owens pupfish was declared an endangered species by the federal government. In 1969 a shrewd employee of the Department of Fish and Game, aware of the perilous state in which the last remaining pupfish were only just barely surviving, took it upon himself to relocate 800 pupfish – in two buckets! These subsequently became the founding population of all remaining Owens pupfish. Five populations of these fish are now established in small refuges in the valley where consistent spring flows and groundwater provide a suitable and sustainable habitat. Measuring less than 2-½ inches in length, with an occasional large male a little longer, pupfish males become bright blue in color during spawning. The highly distinctive behavior of ‘tail wagging’ during courtship and contest resembles the action of a playful puppy – hence the name pupfish. For most of the year males are blue-gray and females a greenish brown with a silvery or whitish belly. The pupfish has a high tolerance for changeable water temperatures and survives in water up to 91deg in summer and under layers of ice during winter. In some pools and ponds the water has a salinity level four times greater than the ocean and low levels of oxygen. The little pupfish is definitely a survivor. 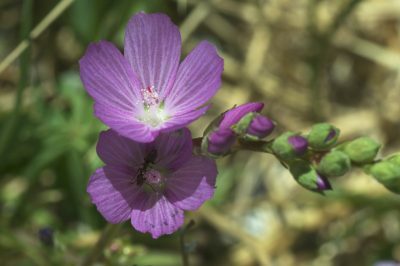 Originally described in 1914 the Owens Valley checkerbloom is a perennial herb with stems approximately 8 – 24 inches in length and producing a five-petaled pinkish-purple flower. It occurs solely in the high-elevation alkali flats and alkaline meadows of the Owens Valley. It is highly restricted within this specialized habitat with very limited distribution. Due to extensive cattle grazing and the diversion of the Owens River this species was thought to be near extinction by the late 1970s. Efforts to list the species as endangered with the Federal government continued for over 10 years from 1985 – 1996 and while it was removed from the US candidate list, it does continue to be listed as endangered by the State of California. This plant forms part of the greater alkali meadow environment that has often been dismissed by visitors to the area as ‘a bunch of weeds’. These extensive shrub lands have also been referred to collectively and incorrectly as ‘sagebrush’. Dominated by two indigenous grass species; saltgrass – distichlis spicata, and alkali sacaton – sporobolus airoides, the alkali meadows are themselves classified as “very threatened” by the California Natural Diversity Database. In a healthy meadow, irises, lilies, and broad-leaved herbaceous plants cohabit with the grasses. In addition native shrubs such as rabbitbrush, Nevada saltbush greasewood, and the ubiquitous sagebrush also occur. The alkali meadow is a major vegetation type in the Owens Valley that sustains a high diversity of animal and bird life. Spring is when these meadows bloom and this year with the good winter precipitation and recent rainfall the bloom is expected to be quite spectacular. 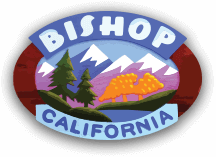 Gigi is “crazy mad in love with Bishop.” Since moving here in 2006 she has made it her mission to participate in as many of the outdoor activities as possible. She learned to snowboard, improved upon her very average climbing skills, took long hikes, has driven up and down innumerable mountain roads and 4x4 tracks, cycled and occasionally tumbled down mountain bike trails, taken to the roads on a bicycle or motorcycle – sometimes for fun and sometimes to commute, and successfully completed her first attempt at a triathlon. She spent 10 months touring the western US and Canada on a bicycle and after 4,000 plus miles returned to Bishop – for the beauty of the place and the spirit of the community. “My soul belongs here,” she says. Maybe you’d like to find something new or maybe you need to find out what you can do. We’ve created four short adventure possibilities – one for each season. So you get to try four fantastic experiences that could be the start a beautiful relationship with our big backyard.